For this week, I’ve chosen to feature an extremely portable and versatile backyard deep-sky astrophotography setup from the United States. It’s one that I’ve personally used to photograph objects such as the Andromeda Galaxy while on a camping trip last year, and I highly recommend to others. 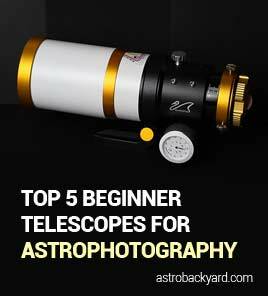 There’s nothing better than being able to get your telescope and mount up and running within a matter of minutes. 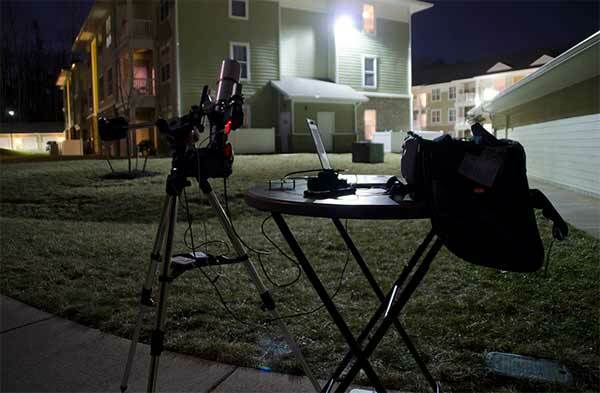 The backyard setup you see below is easily one of the most enjoyable and pain-free astrophotography rigs I’ve ever used. You can focus on making the most of your night under the stars, without the many headaches involved with a more advanced setup. Oh, and this amateur astrophotographer is getting incredible results with it too. Aaron is producing some impressive results using modest equipment from the city, and I can really appreciate that. To me, there is nothing quite like a clear Friday night in the backyard. Seeing Aaron’s results using this equipment really solidifies my feelings towards this particular combo. This rig is lightweight, portable and travel-friendly. 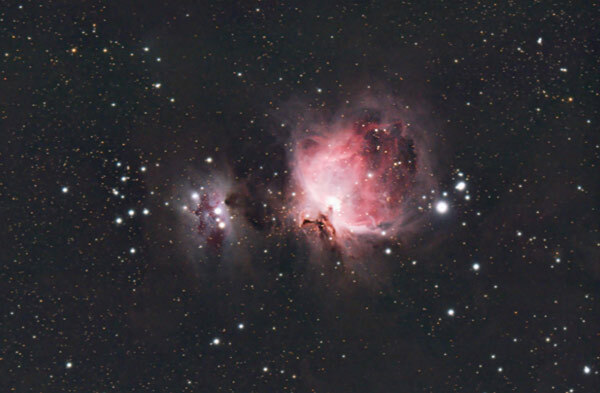 Check out this incredible image of the Orion Nebula Aaron produced using the William Optics Zenithstar 61 APO. I am absolutely blown away by his progress in a short period of time. 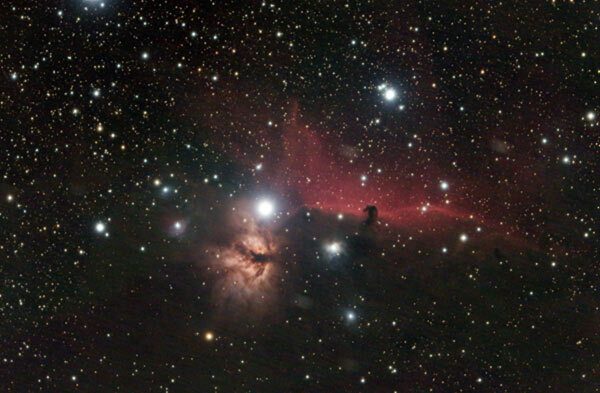 See for yourself by checking out his Flickr profile where he also posted an inspiring image of the Horsehead Nebula. The little iOptron SkyGuider Pro Mount Aaron uses is a reliable performer and a real value. 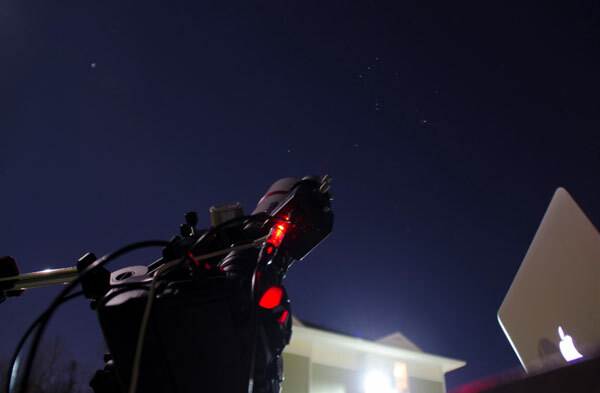 During my experiences with this tracking mount, I photographed several deep sky objects with a variety of payloads on board. From my Canon EF 24-105mm F/4L lens to a big Canon EF 400mm F/5.6L – the SkyGuider was meant for smooth tracking using a telephoto lens or small telescope. Clearly, the SkyGuider Pro continues to impress others as well. It appears that Aaron is utilizing a small guider system, and it sure is working well for him. The William Optics Z61 apochromatic doublet is a perfect match for this setup, especially if you plan on imaging with a DSLR. I’m so glad to see that others are enjoying this setup just as much as I did. I use the same basic setup that Trevor used to image Andromeda last summer. I am just starting and after I saw this portable setup, I knew I just had to join in the imaging fun. This setup is forgiving at the low focal length and has created some pretty awesome images for me. Thank you for sharing your setup with us, Aaron!